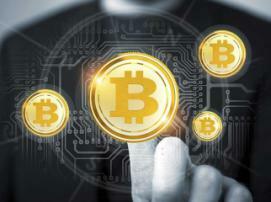 “There's so much more to the blockchain than just tokens and simple smart contracts,” believes an APLA’s spokesman. APLA is a company providing unique IT solutions based on blockchain technologies. 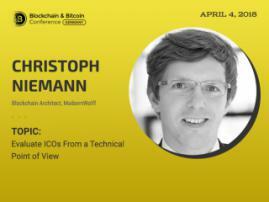 The company will be a participant of the exhibition area at the Blockchain & Bitcoin Conference Berlin on April 4. In the interview to the press service of Blockchain & Bitcoin Conference Berlin, the company representative explained why ecosystems are important and talked about the new Enterprise Network. BCB: The main sphere of your company’s work is building digital ecosystems. How could you define their importance? A: An ecosystem is a digital environment you create for your project and clients on the APLA distributed blockchain network. These ecosystems allow businesses to set their own rules of interaction with clients – including membership policies and data access rights – and to create their own user interfaces and smart contracts in a matter of minutes. All these features enable blockchain project initiators to completely transfer the operations of existing organizations onto the blockchain, and to implement new ideas, regardless of whether they operate in business, social, or governmental domains. BCB: As we know, this year, Apla has launched Enterprise Network, a platform created for building business ecosystems. What are the special features of your platform compared to other platforms and why do you call it Enterprise? A: Our competitors’ platforms provide their blockchain as a ‘sandbox’, meaning it’s barren and you’re starting from basically nothing. They only provide you with the network, its protocols, and a blank screen with a cursor blinking on it. Pretty tough figuring out to begin with, isn't it? Now let's look at APLA. Once created, each ecosystem on APLA has a set of applications installed with it, including a messaging and notification system, a user voting system, token emission, and many other features that you can use right away to implement your ideas. Using these default tools, you can establish a membership policy in your ecosystem (who can become a member and how), define user roles (which users will have access, to which data and services), configure user interaction mechanisms, and start building interfaces and smart contracts right away using the streamlined GUI of our integrated development environment. All of these features are specifically created to help enterprising customers switch their operations to our blockchain in a fast and smooth manner, and to easily cooperate and collaborate with other businesses working on the Apla Enterprise Network. BCB: The network can build ecosystems with such key features as AML/FT compliance, KYC ready, and many others. Could you tell us how useful they are, please? A: Blockchain technology is still considered by many as a tool used by people on the margins of society as a way to oppose classical financial and governmental systems. The Bitcoin blockchain has allowed people to work anonymously and to engage in transactions without ever revealing their true identities. All of this frightens big companies and international businesses away. 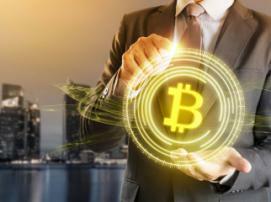 In order for businesses to fully incorporate blockchain technology, they need the AML/FT compliance and KYC features since these requirements are necessary to meet most countries’ legal regulations. On the other hand, these features are very difficult to program on top of existing blockchain platforms such as Ethereum, because they aren’t initially included in the platform code. This is the main reason why we included the AML/FT compliance and KYC procedures by default in all APLA ecosystems. BCB: As you are taking part in the exhibition of Blockchain & Bitcoin Conference Berlin, are you going to introduce your new network? What are you going to exhibit at the conference? A: As we know from participating in other cryptocurrency conferences, most projects use a very basic feature of blockchain platforms – exchange of tokens. 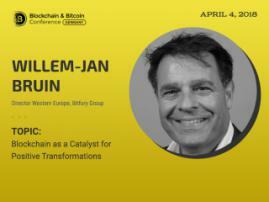 We want to show the attendees at this exhibition that there's so much more to the blockchain than just tokens and simple smart contracts. Our platform allows construction of complex interfaces and user interaction mechanisms, and enables even junior level software developers to create all of that quickly and easily. This is how building blockchain projects on the APLA platform saves time and money starting from production stage. We’ll be talking about our platform’s unique features during our presentation on stage, and demonstrating how the platform operates along with proofs-of-concept built on it at our stand. We’ll of course be more than happy to consult large and small businesses on the benefits that they can unlock by transferring their operations onto blockchain. BCB: What plans for development of new technologies does your company have? A: We plan to create ready-to-use blockchain applications for various business domains. Another area of our development is a common-ground semantic environment for collaboration between businesses. Apla provides an ideal platform for this – the APLA Enterprise Network.